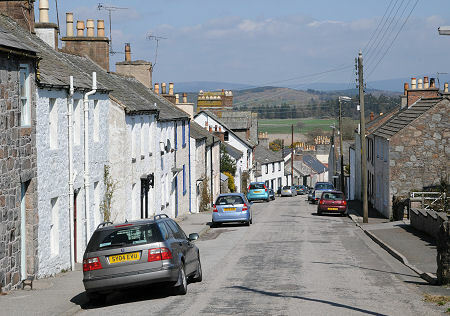 Auchencairn is an attractive and largely whitewashed village on the A711 coast road from Dalbeattie to Kirkcudbright. Blink and you'll miss it, which would be a shame, because as well as being extremely pretty in its own right, Auchencairn is also home to a range of local services. The main road climbs fairly steeply through Auchencairn. At the lower end is the bridge over the Hass Burn and the village playing fields. A side road gives access to the bowling club. 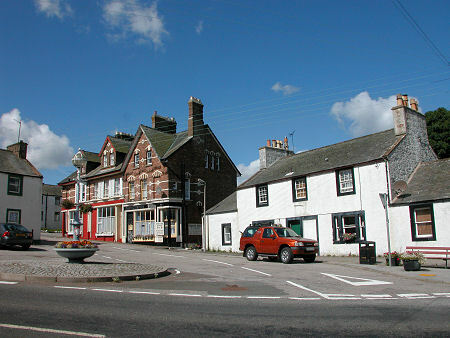 Nearby is the war memorial and the new post office and village shop. 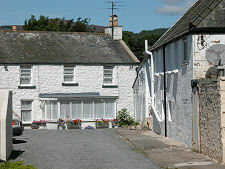 You then climb up towards the centre of the village past the village hall on one side and the Old Smugglers Inn on the other. 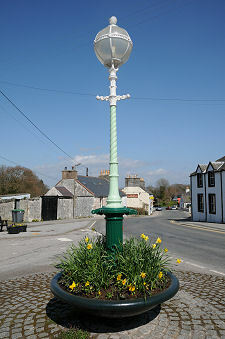 The focus of the village is the junction between the A711 and Main Street, complete with its attractive floral display around the Jubilee Lamp, placed here by public subscription in 1897. 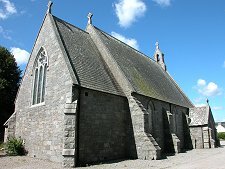 Further up the A711 is Auchencairn Church, built in 1855. 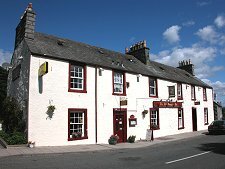 At the uphill end of Auchencairn is the site of the Ringcroft of Stocking. In February 1695 this was home to farmer Andrew Mackie and his family. Odd things started to happen. Cattle were set loose or moved from place to place; the peat stack was set alight; the family started having stones thrown at them inside and outside the house. The fame of the Mackie Poltergeist, as it became known, grew. Various efforts to bless the house or exorcise the spirit were beaten off with flying stones or clods of earth. The ghost then started to take form and speak, saying it would depart on 1 May. It was seen by the family and others in the barn on 30 April 1695, the day before the sheep pen burned down. Thereafter nothing more happened and the family was left to return to their normal lives. Much of the detail of the story comes from a pamphlet published the following year by the local clergyman, the Reverend Telfair, whose account was supported by 14 eyewitnesses. The Ringcroft of Stocking no longer stands, having been abandoned and left to collapse. Although it's not obvious from the village itself, Auchencairn lies close to the head of the broad and sandy Auchencairn Bay, whose entrance is guarded by Hestan Island. A minor road at the north end of Auchencairn takes you along the shore of the bay to a little short of Balcary Point.